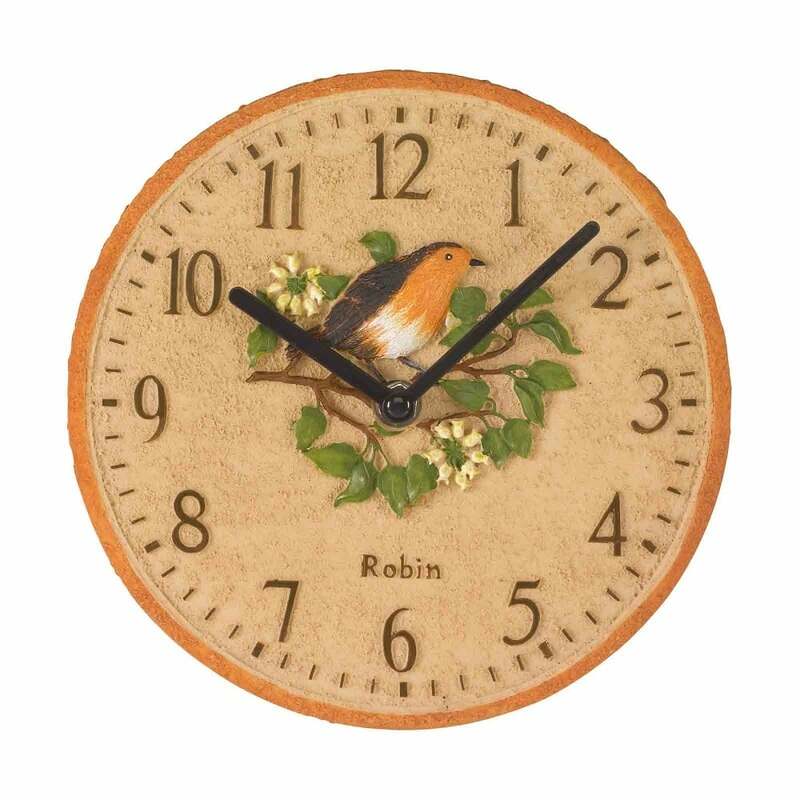 This lovely Robin clock has been hand painted and is made from polyresin. The clock is fully weather resistant so would look good outdoors as well as indoors. 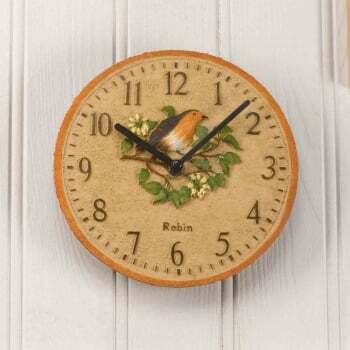 The robin clock requires 1 AA battery (not included) and comes gift boxed making it an ideal present for any bird lovers.